Wild and wonderful is the feel of this shawl with pom pom ends. 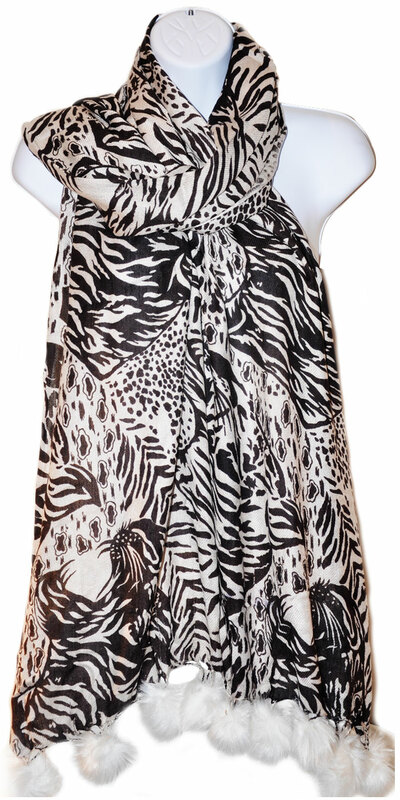 It features a stylish and chic Zebra animal print in black and white with white pom poms on the ends. Play it up or dress it down, you can't go wrong. Animal prints are always in fashion making this a smart investment you can wear every year!